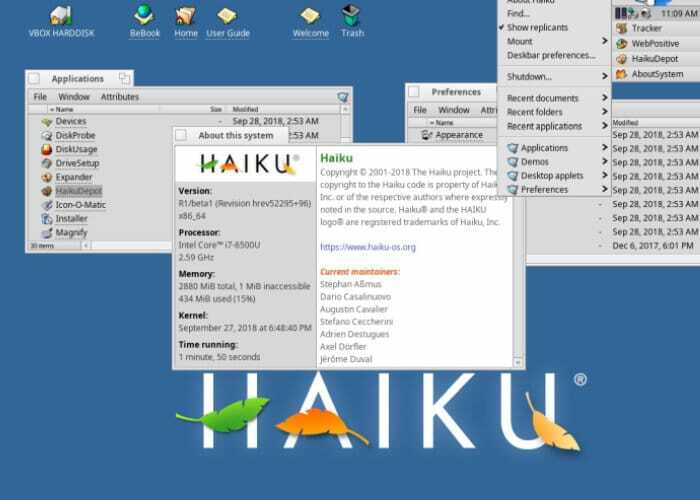 Those interested in open source operating systems will be pleased to know that a new release of the lightweight and fast open source operating system HAIKU has been released this week in the form of HAIKU R1 Beta 1. The latest release of HAIKU brings with it plenty of major updates including a package management system allowing you to easily search and install third-party apps. Together with added support for EFI bootloaders, user interface and enhancements, a new improved version of the WebPositive web browser, an updated network utility and support for streaming media to name just a few. The HAIKU development team explain a little more. “It’s been just about a month less than six years since Haiku’s last release in November 2012 — too long. As a result of such a long gap between releases, there are a lot more changes in this release than in previous ones, and so this document is weightier than it has been in the past. The notes are mostly organized in order of importance and relevance, not chronologically, and due to the sheer number of changes, thousands of smaller improvements simply aren’t recognized here. More details and to download the R1/beta1 version of the HAIKU open source operating system jump over to the official website by following the link below.